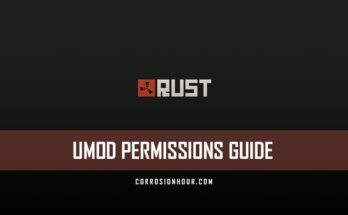 With the recent release of the Electricity Anniversary Update, our partner Malonik has released the first of a series of video guides covering RUST’s electricity. 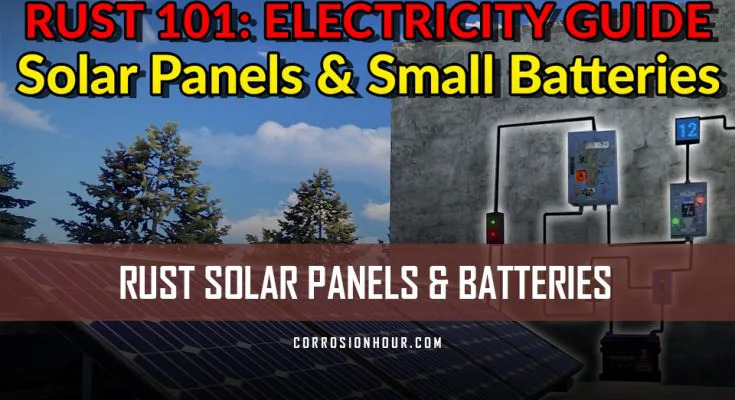 In this particular video, Malonik walks over some basics techniques to use with the new solar panels and small batteries that will help you get acquainted with the new electricity system. Hey guys! 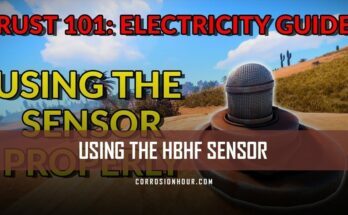 Mal here and today we’re starting a miniseries called rust electricity 101. Now I’m calling it a miniseries because it’s going to be a series of short and to the point videos on how to accomplish practical things with electricity in rust. I’m not here to make a computer or a clock in rust. 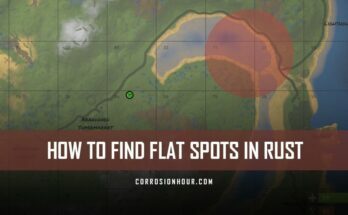 I’m here to teach you how to do things that you will actually want to use during a wipe. This first video for example will teach you how to setup a power source which charges your battery and supplies power to your base at the same time, it then switches over to battery power at night automatically. Now with that in-mind let’s get started with what will be possibly the most essential circuit required in any base that utilizes batteries of either size. There are a number of components in the electricity system. That being said you won’t need all of them especially for simple projects. Getting the various components is relatively easy, most of them drop in normal square crates including the bp for solar panels. There are a few tier 2 items that drop in military crates and you buy the windmill from the bandit camp for 500 scrap but none of the tier 2 components are required for this circuit. Lastly there is the wiring to connect everything up which is a default bp. Now when building with electricity there are three essential parts to a project. The source, the components, and the goal. Your source will be whatever produces electricity and for the time being that’s limited to solar panels and wind turbines. Your goal is obviously your end point, for example, i want a light switch, or door control. The components required in between are determined by your goals and available source. This project is going to assume you only have access to the tier one blueprints and will explain each component function along the way. First install your solar panels. It’s important to note that solar panels must have clear access to sunlight. Buildings and in game structures cast shadows which will stop your solar panels working. Even partially covered panels stop working completely. They are either on, or off, no in between. To make sure they get enough sun, build them clear of your base, with one facing east and one facing west so that at least one panel receives charge all day. They are easy for trolls to break, even with just a pick so elevate them if you can with triangles off the side of the roof, or this elevated platform gal came up with. Now install a root combiner and run the cables from both the morning and afternoon solar panels to it. The root combiner will combine the power sources into one line which then feeds into the next component. Note that at the moment root combiners don’t stack, as in two root combiners cannot be plugged into another root combiner. Whether this remains the case is yet to be seen. Install a splitter and connect the root combiner to the splitter’s power in socket. A splitter takes in power and shares it equally between the sockets that are connected, only one socket, and full power runs through, two sockets and it splits evenly, three sockets and it splits three ways. Above the battery place an electrical-branch and a blocker then run a line from the splitter to the electrical branch’s input. The e-branch has two outputs, run the main output on the right to the battery and the branch output on the left to the blocker’s pass through port on the left side of the blocker. Hold e on the branch and limit its power to two, we only need the minimum power required to signal the blocker. This serves to both run power to the battery, and signal the blocker that electricity is coming in from the solar panels. As long as that is the case, the blocker will ignore any power coming from the battery. Which is the next step. Run power from the battery output to the blockers input, look at your battery, it should be charging now. When the sun goes down and the solar panels stop working the branch will no longer send a signal and the blocker will switch over to let the battery power through. Now install an or-switch near the blocker and splitter. Connect one socket from the splitter and one from the blocker. All the or switch does is detect whether or not power is coming from the panels, or the battery and blocker, then it lets the appropriate charge through. From the or-switch you can setup whatever sort of electricity you like, run the power straight to lights, or to a switch then to a door signal, or both and so on, we’ve also installed a counter, so we could see how much power we have to work with which changes between night and day. At this point the savvy viewer might say, why not skip the branch and simply run a third cable from the splitter to the blocker, the problem being that would divide the splitters power output into thirds, rather than half, as explained earlier. Instead the branch lets us control how much power is output and serves as a splitter of its own. If you’re feeling really clever you could swap the splitter for another branch circuit and control how much power goes to the battery, but for simplicity sake we’re going the splitter route so settle-down. So, there you have it, this is probably the most essential circuit in any base requiring solar panels, your base is powered during the day while the battery charges, and at night the battery takes over automatically. Once you understand the logic behind these systems expanding them to include more panels or more batteries is…. Relatively clear. Also, do take note this video was made using the electricity as it was on staging branch the night before its release and as such it may be subject to change, if that happens, we’ll either remake the video or add annotations to let you know what’s going on. I might take a moment here to say that it’s not essential to learn the electricity system to play rust. Ultimately its impact on the game is going to be minimal and will really only bring minor quality of life changes to the game for those willing to master it. It adds almost nothing to base defense and, in some cases, weakens base defense. For example, people don’t need your codes to use an existing door switch. How rust will change after electricity will be interesting, but likely won’t affect the raid or pvp meta in any substantial way. Which isn’t to say it’s not fun, it might have some applications for trap bases down the road hint hint. But for the time being don’t stress if you can’t wrap your head around it, learn the ak recoil, get some armor, and you’ll still be miles ahead of the people who can build an in-game clock, or a computer, I don’t know, you already have a computer and a clock anyway. Lastly don’t be discouraged if you are absolutely lost initially with all of this. We spent hours messing with it to get our heads around it. If you are interested in getting a better understanding of it watch my videos and jump on a build server to play around with it. Make sure to use counters to track what your electricity is doing as it really helps. It may seem daunting at first, but it will click and start to make sense as you use it more.